I first ‘met’ Jo in 2011, through Twitter. Although I’d had the training business for many years I’d only recently branched into social media and was keen to follow some leaders in the field. Having recently moved to France and set up a similar social media management company, Jo was a couple of months ahead of me. She seemed to be doing similar projects, tweeting similar stuff and had a similar work ethos to me, so we connected and shared info online. After a while we became friends on Facebook, sharing more personal stuff than on Twitter – and on LinkedIn, where it tends to stay work-related. 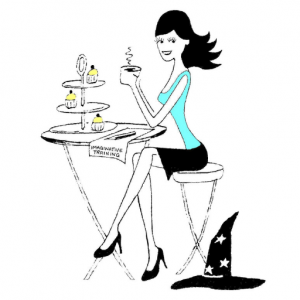 Then when Jo expanded into ebook formatting, she created my ebook (and will be doing another three for me this year). But, as is often the case with social media, we hadn’t connected in the real world. Until now. 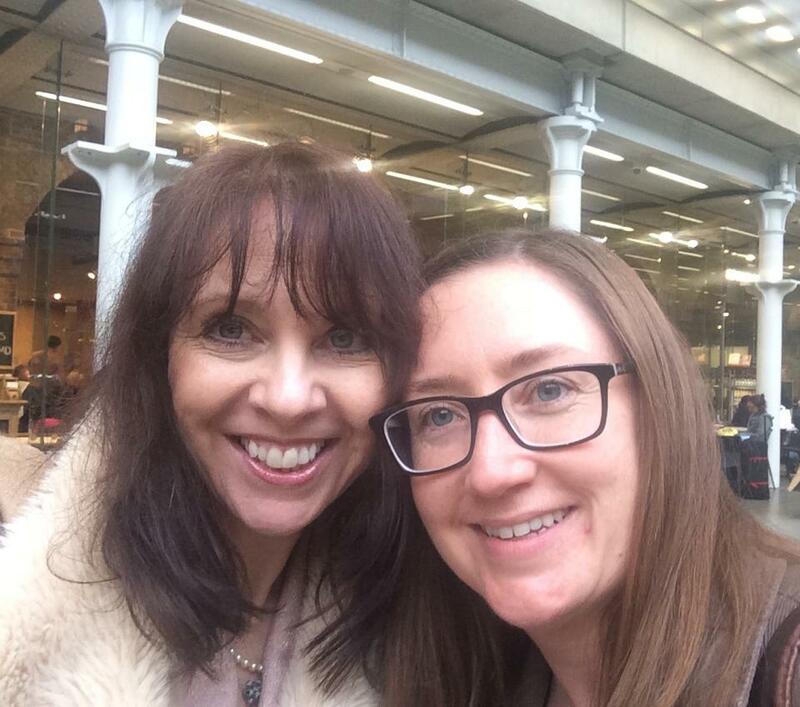 With the Biz Matters event taking place in London, Jo popped over for a couple of days – and at last we met! 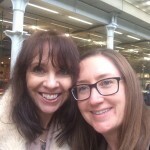 In the sumptuous surrounding of the St Pancras Renaissance Hotel we enjoyed a lavish breakfast before she caught the Eurostar back to Paris for her trip home to the lovely French countryside, where her two dogs and cat were keeping her laptop warm. It was brilliant!! 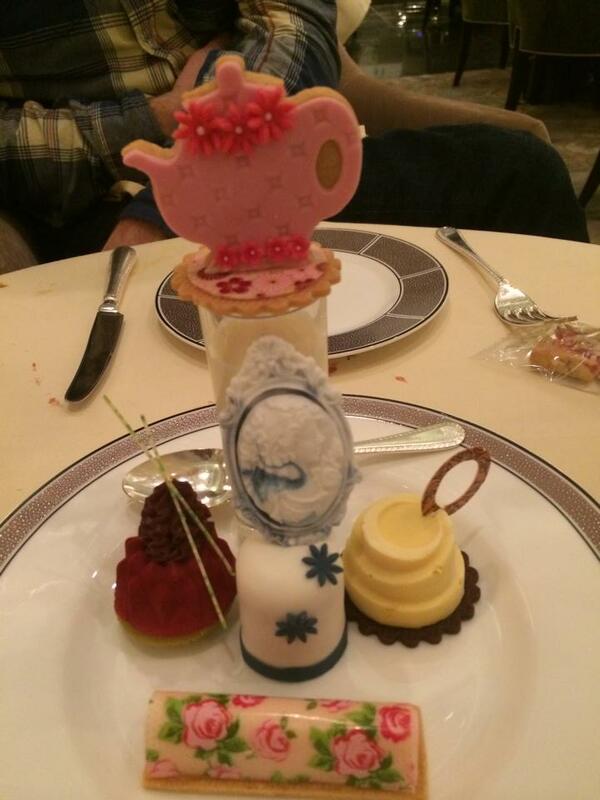 With feet firmly back on terra firma, yesterday’s afternoon tea at The Langham was both elegant and delicious. High Tea in the Palm Court consists of not just the usual melt-in-your-mouth scones with clotted cream and jam, to-die-for sandwich and broche selection and dainty, artwork cakes and pastries… it includes a rather large course in the middle – mine was a flaky tart (such as I have once or twice been described myself!) filled with spinach and mushroom in a creamy sauce, a poached egg balanced atop with a certain degree of flair. 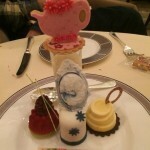 One of the marks of a truly classy eaterie is its policy to offer more and more food and, in this, The Langham excels. The waiters constantly proffered more, filling my stomach to the point where I expected a Violet Beauregarde incident, somewhat like I had witnessed at Charlie and the Chocolate Factory last week at the Theatre Royal. Travelling home on the underground from The Langham I read an outstanding article in The Sunday Times written by Mary Finnigan, one-time landlady and lover of David Bowie. She’s published her memoirs, and I said at the time that I would be buying that today. Waking up to the shattering news that one of my all-time music heroes has left this earth has upset me tremendously, and my Facebook feed was filled with shock and sadness at his untimely exit. The show may be over, but Bowie’s legacy will outlive us all.